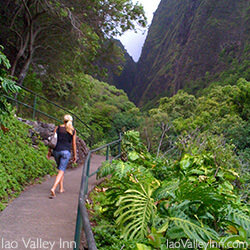 Two miles down the road from Iao Valley Inn (and 500ft higher in elevation), lush greenery, towering peaks, streams and waterfalls span 4,000 acres in historic Iao Valley State Park. This sacred site offers breathtaking views and enjoyable hiking. 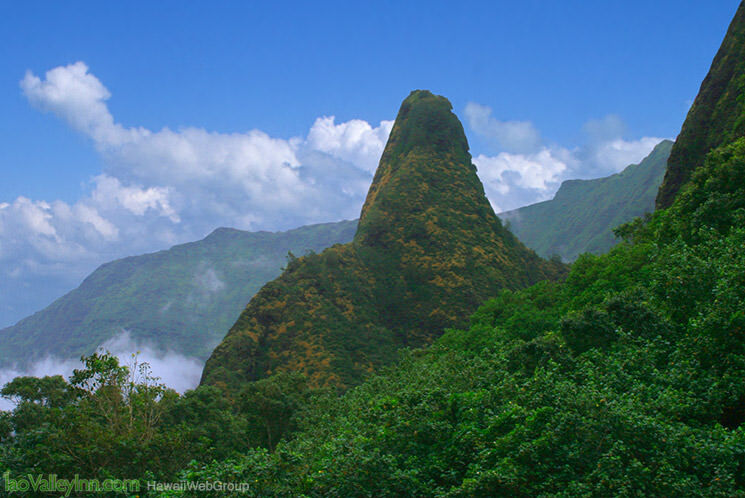 Guests can marvel at the 1,200ft tall Iao Needle, which served as a lookout point as King Kamehameha’s forces clashed with Maui’s army in his quest to unite the Hawaiian Islands under his rule. 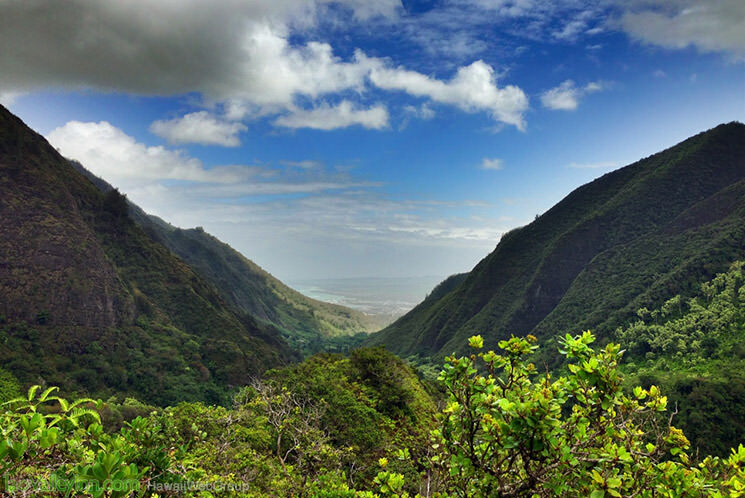 Once the site of an ali’i (Hawaiian royalty) burial ground, Iao Valley is now a National Natural Landmark visited by thousands of nature enthusiasts from around the globe every day. 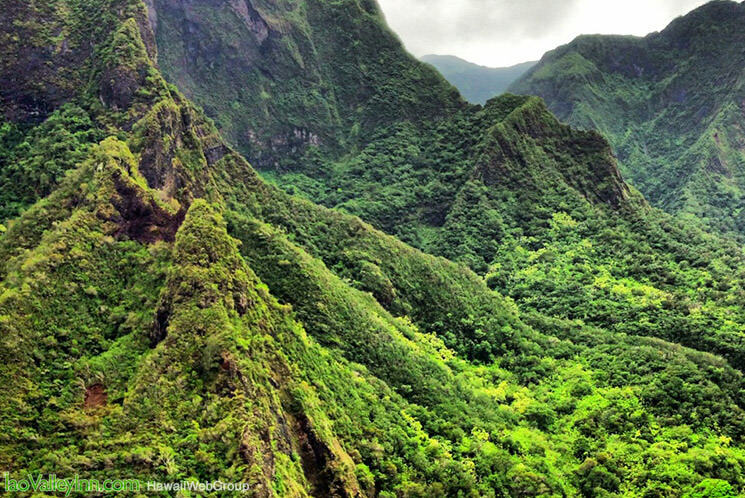 Iao Valley is most famously remembered as the location of the Battle of Kepaniwai in 1790. In an effort to unite the Hawaiian Islands, Kamehameha landed his war fleet on the shores of North Maui while Maui’s Chief, Kahekili, was away on the island of Oahu. Kahekili’s son, Kalanikupule, entered Iao Valley with other Maui chiefs and army members, planning to use Iao Needle as a protective hideout from oncoming forces. He wasn’t aware, however, that Kamehameha had brought Western weapons along with him, including a cannon, which killed many army members during the battle. The streams of Iao Valley were said to have been blocked by bodies after the battle finished, the reason behind the name Kepaniwai, meaning “the damming of the waters.” While none of Maui’s major chiefs were killed, the damage was done. Chiefess Kalola escaped with her life, accepting Kamehameha’s protection in exchange for the promise of her daughter as his future wife. After returning to Maui, Chief Kahekili refused to give control to Kamehameha, despite his win in the battle, and was the reason for his return in 1794 to reconquer the island. 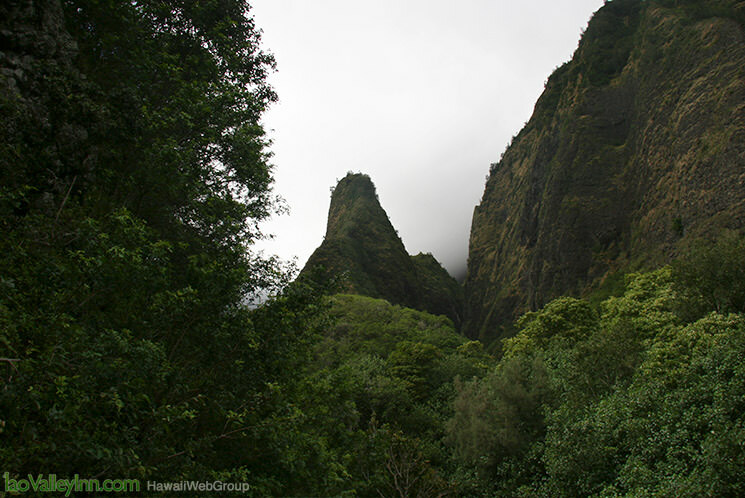 Iao Needle, the most iconic point in Iao Valley, is a 1,200 foot tall natural rock formation once used as an altar. The Needle was formed as part of a volcano remnant and is known as the phallic stone of Kanaloa, Hawaiian God of the Ocean. 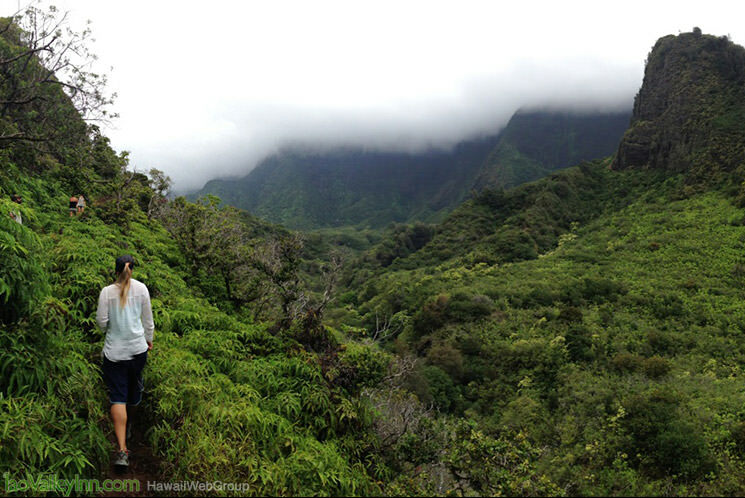 Guests are given a stunning view of the Needle from the stairways leading up at Iao Valley State Park. 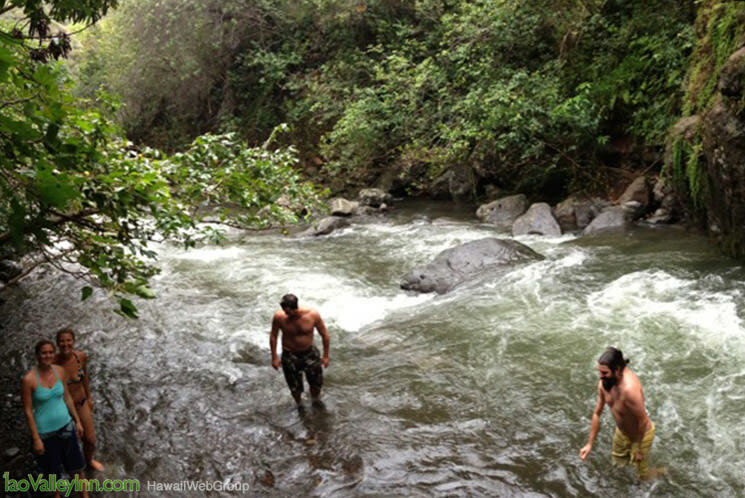 This is also a great location to take a refreshing dip in the surrounding freshwater streams. Pack a picnic lunch and find a scenic spot along the water to enjoy a midday picnic in the lush, tropical valley of Iao. 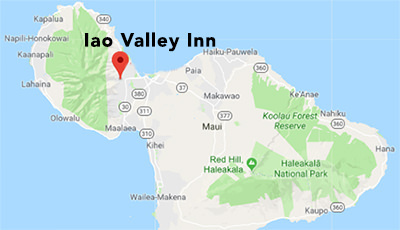 Iao Valley is located west of the town of Wailuku. From Main Street, continue west and take the slight right down onto Iao Valley Road. 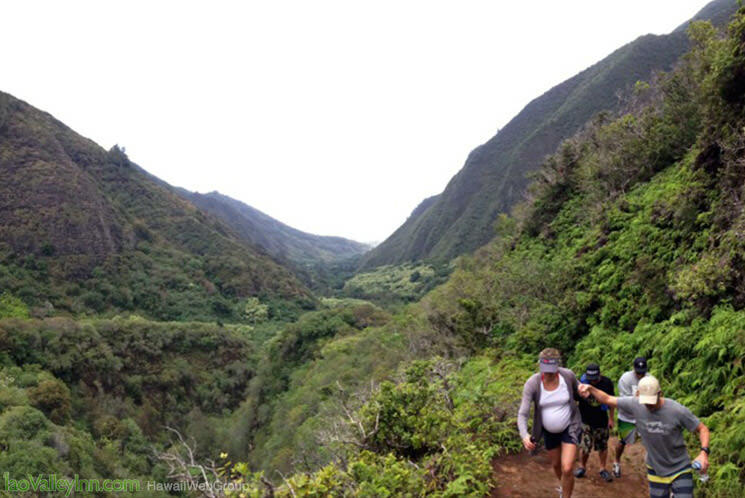 Approximately 2.4 miles later, Iao Valley State Park will be located on your right hand side. Entrance is free for Hawaii residents, $5 per vehicle for visitors and the park is open daily from 7am to 7pm. For more information, please call 808.882.6206. Also be aware that while the paved path is short, it does include lots of stairs. Great place for families, couples and solo adventurers. Bring an umbrella or rain jacket, as this park receives lots of rain!